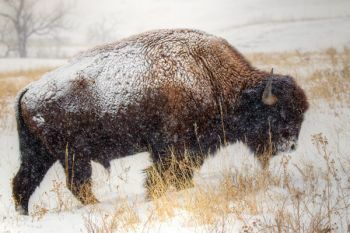 For avid & hearty photographers please join me as I head to the Black Hills to photograph winter wonderlands, iconic symbols of the USA and wildlife. • We will look for opportunities to photograph wildlife. 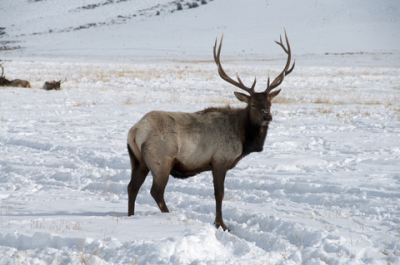 In the past I have seen herds of bison, elk, some coyotes, big horn sheep, mountain goats, antelope, prairie dogs, raptors, badgers and more in and around Custer State Park and along Iron Mtn Road (Note: this entire trip is "weather permitting" and subject to change). 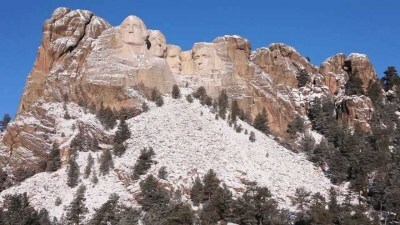 • On another day we plan to visit the world's greatest mountain carving, Mount Rushmore with it's iconic presidential faces. • Afterwards we will go check out the progress being made at carving the magnificent Crazy Horse Memorial. There are also visitor centers with lots of displays we will be able to see at both of these locations to learn about how they were built. Approx 5-6 hours for both monuments. 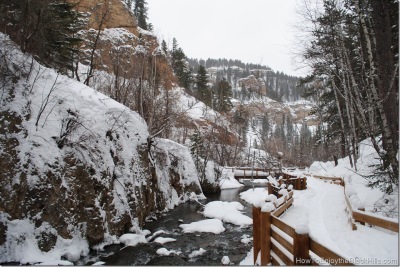 ​• Another highlight of the trip will be to take a Snotrax adventure into the backcountry to explore. 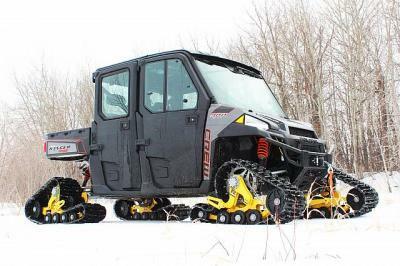 We will have SnoTrax Winter Safari Tour vehicles and we'll explore the National Forest, find wildlife, old gold mines and ghost towns with tracked heated cab UTV's (utility terrain vehicles) It is an amazing experience. Approx 6 hours (or less if we desire). No photography experience required but preferably be familiar with your camera and don't forget your camera manual. Non-photographers are also welcome if they want to just tour with us and understand that we will be stopping a lot and staying a bit longer so we can find and take good photos. No experience required. • Transportation to/from hotel to above named attractions. • Comfortable touring vehicles with tops that open to stand and take photographs (weather temp permitting) OR close for our comfort. T-Grille Buffet - This buffet restaurant specializes in American cuisine and serves breakfast, lunch, and dinner. T-Grille Restaurant - This diner specializes in American cuisine and serves breakfast, lunch, and dinner. Paddy O'Neill's Irish Pub - This sports bar specializes in American cuisine and serves lunch and dinner. I am just a photographer and a trip organizer, not a professional travel agent or a tour guide so everyone will have to sign a waiver TERMS & CONDITIONS form to attend. OPTIONAL if you are driving up: Weather & roads permitting on my way home I am stopping to tour the Wild Horse Sanctuary on Sunday. They are open year round if roads and snowdrifts allow for 2 hour tours of their rescued wild horses. You are welcome to follow and join me if you want...I will be calling ahead to see if they are running or not and make a reservation. They charge $50 ea. Invite your spouse or a guest to join you and share your room. Use drop down to add a spouse/guest discount and reserve two spots in one room. By paying you are agreeing to all TERMS and CONDITIONS see here . Please review your information for accuracy. Use any credit card to pay securely with Pay Pal. Balance will be due 30 days before trip leaves. You may also call in a VISA or MC to secure your place. By paying for this trip you are stating that you have read and agree to all terms and conditions on this page. You will not be able to make changes once you submit your order. Rates and itinerary subject to change without prior notice. Click 'Add To Cart' only once. Your order may take a few seconds to process .